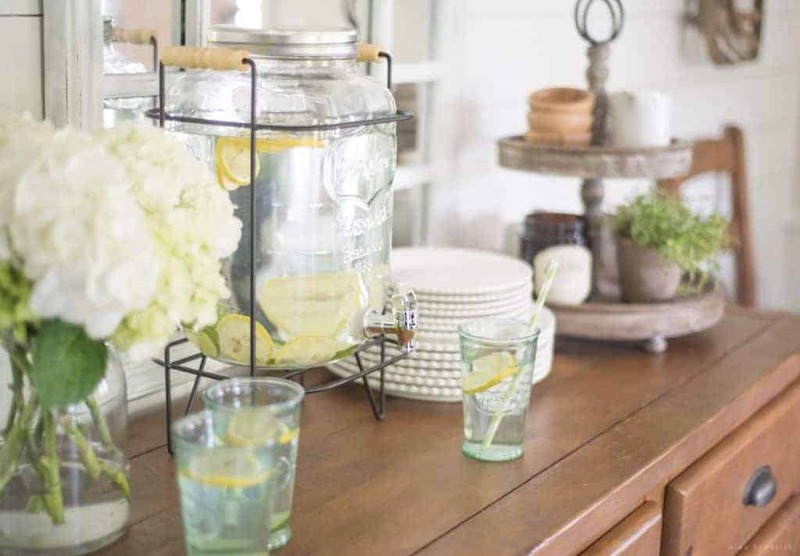 Happy first day of summer, and welcome to the Simply Summer Home Tour! 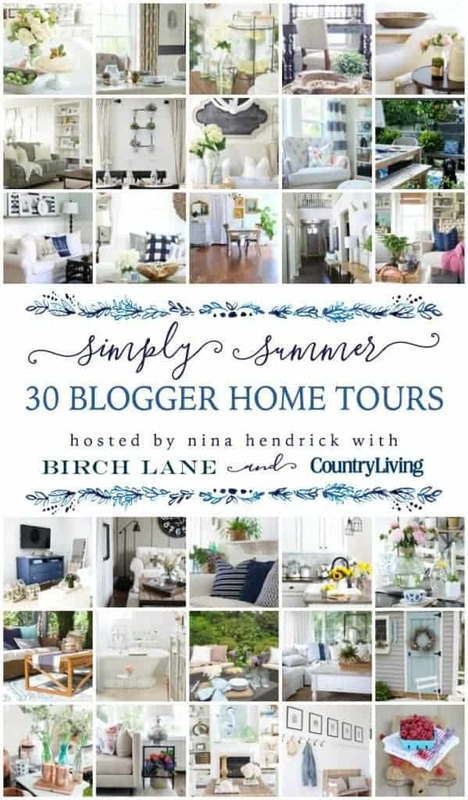 This week I’m beyond thrilled to be hosting 29 amazing bloggers along with Birch Lane and Country Living Magazine. 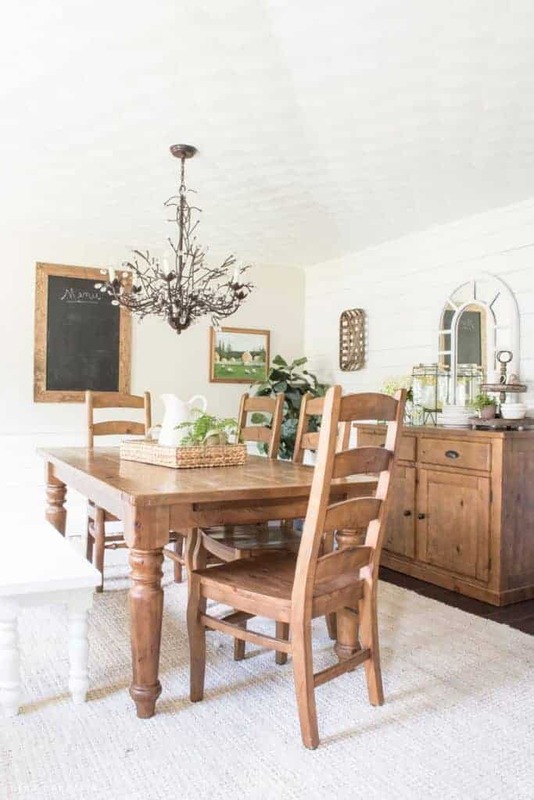 Over the next five days, we’ll get to peek inside some gorgeous homes, and it’s truly inspiring to see such an eclectic mix of decor and style. I can’t wait for you to see what these other bloggers have in store, you can check the bottom of the post to see a full list of those joining me! Today I will also be welcoming you into our home “decorated” for summer. 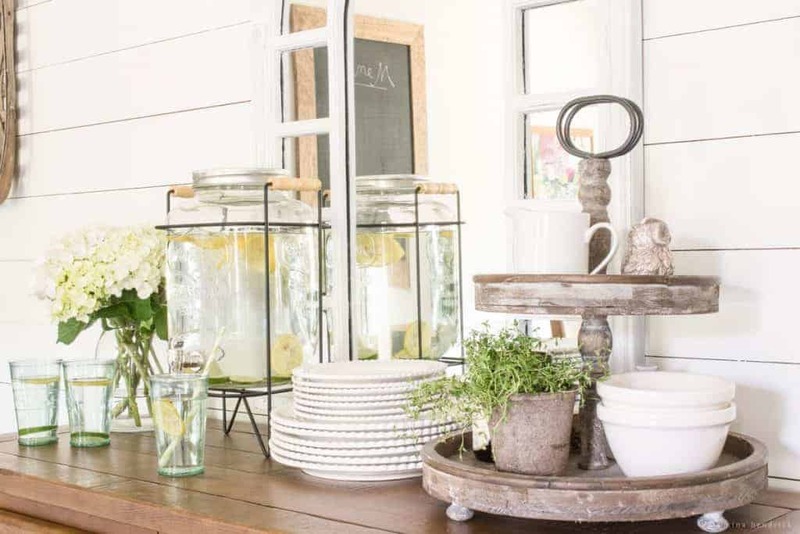 In actuality, summer is probably the simplest in this home as far as decor goes, so you are really seeing the house in a normal decor state. 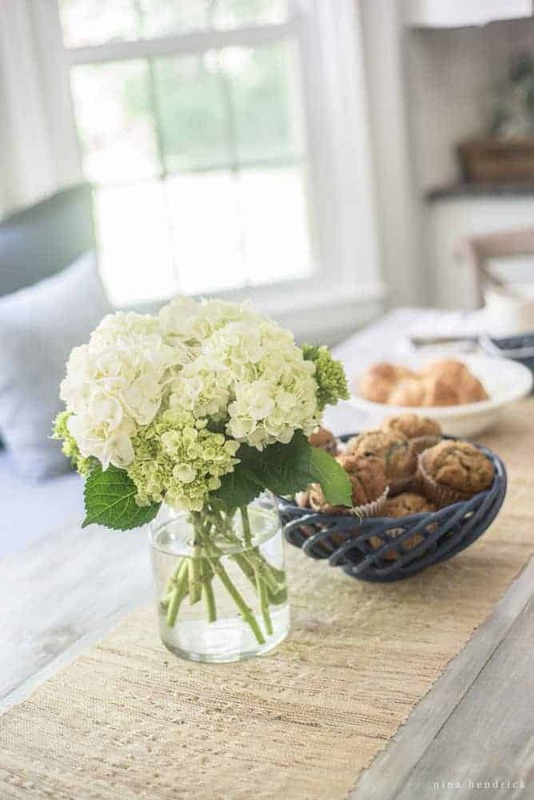 I love restful blues for summer, and you’ll see that color scattered throughout the house for this tour, but it is really an adaptable palette for year-round. Birch Lane provided me with a gift card for this tour, but all opinions are my own. See my disclosures here. 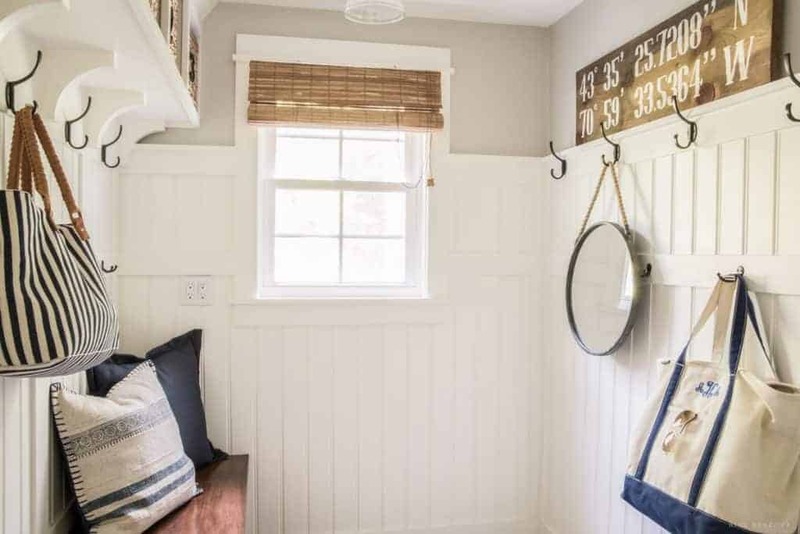 First up we have the mudroom. In the summer I always feel like the mudroom is on break too. Unlike the other seasons, it doesn’t have to be buried in backpacks and boots, baseball gloves and bats, or snow gear. Just a well-loved pair of flip flops, a beach bag, a picnic blanket, and a comfy pillow. The beautiful blanket is the Sharon Striped Throw, and the pillow is the Athena Pillow Cover, both from Birch Lane. I absolutely love the gorgeous pattern on the pillow, it inspired the colors for all of my decor this season. The boys just got out of school this past week, which is actually really early for New England. Thank goodness for that mild winter, it boosted morale a lot in these parts! Next up is the kitchen. There’s something about summer that motivates me to cook. My husband Mack will laugh when he reads that sentence, due to the amount of takeout we’ve been getting lately in the end of the school year craziness. However, as the farmer’s markets open back up, and the colorful and fresh produce begins to appear, I feel incredibly inspired to be in the kitchen. Now that the breakfast nook is recently complete, I’m excited to be able to share some views of the transition between it and the kitchen. I used to crop the unfinished eyesore out of the kitchen, and it resulted it fragemented photos. I really love our kitchen, and now the breakfast nook is the icing on the cake. 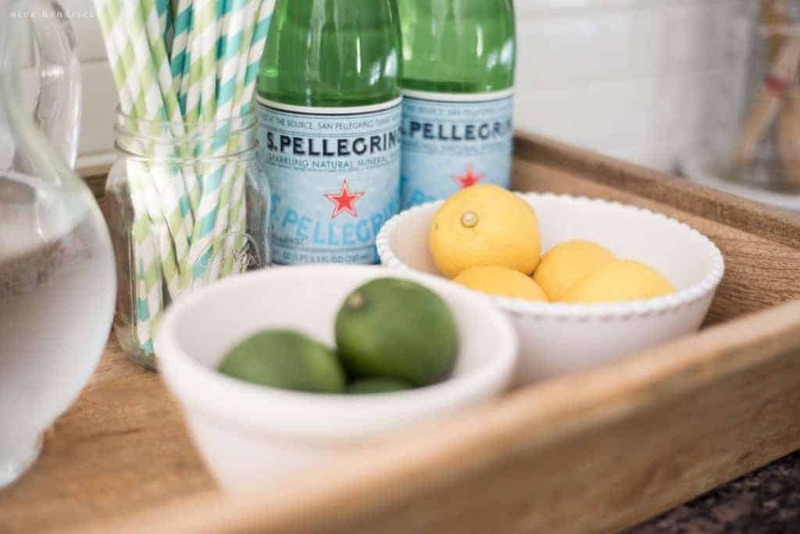 I love to have citrus handy in the summer for garnishing simple drinks of both spring and sparkling water. 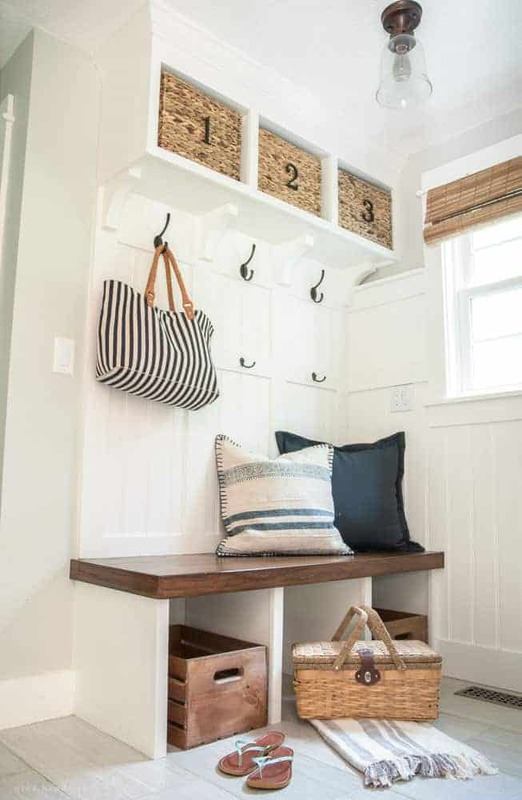 This neat little station provides the perfect spot to corall all of the items. The beaded bowl is from the Milford set from Birch Lane. They are such versatile pieces, and I use them daily. Here’s another view of the breakfast nook I mentioned above. It’s set up for a little breakfast, which I shared in part in the reveal post. The bay window beautifully filters in the light. We spend the majority of our time in this space, and eat dinner and lunch here as well as breakfast. The final room I’m sharing today is our dining room. 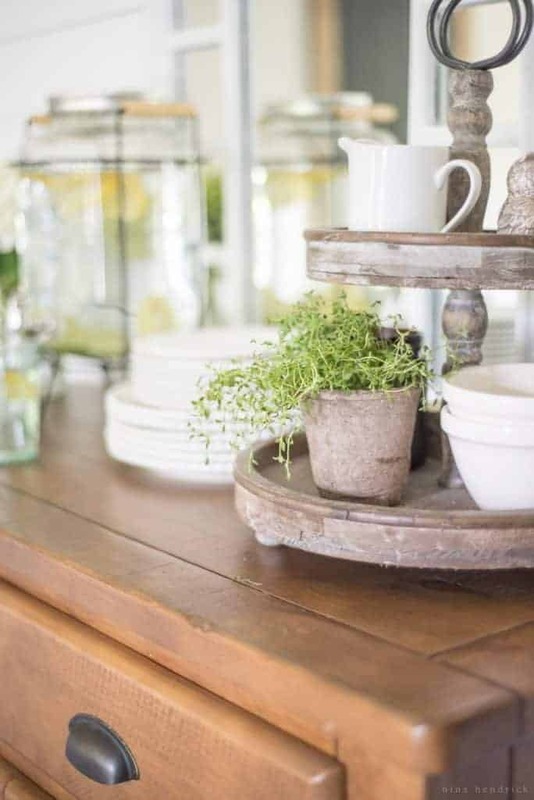 While we don’t use it as often as I wish we did, it’s the perfect space for entertaining. I have it ready to go for the season with a drink station. 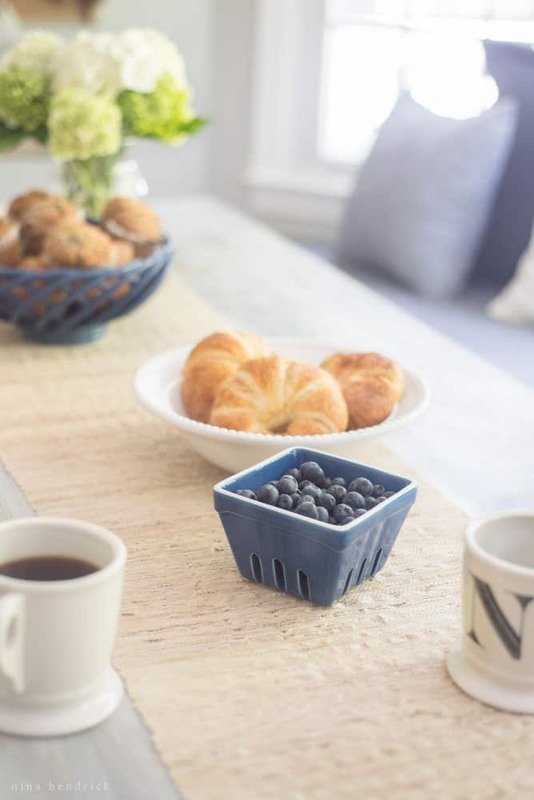 The beaded plates are from the Milford set, and these Milk Glasses are also from Birch Lane. And that concludes our tour for today! Thank you so much for visiting, and I hope that you enjoy visiting my friends below! May I ask where your breakfast nook dining chairs are from? Lovely home! So gorgeous Nina! I love your dining nook and the chandelier. I am laughing, we both bought drink dispensers! I love yours. Oh Nina! Everything is stunning! You really knock my socks off every time. Great work and thanks for all you’ve done to pull this together! Thank you so much, Cami! So happy that you joined me! Nina the tour was just so beautiful! I loved each and every detail! Your home is really lovely, Nina! I like that it is beautiful but casual and comfortable at the same time. 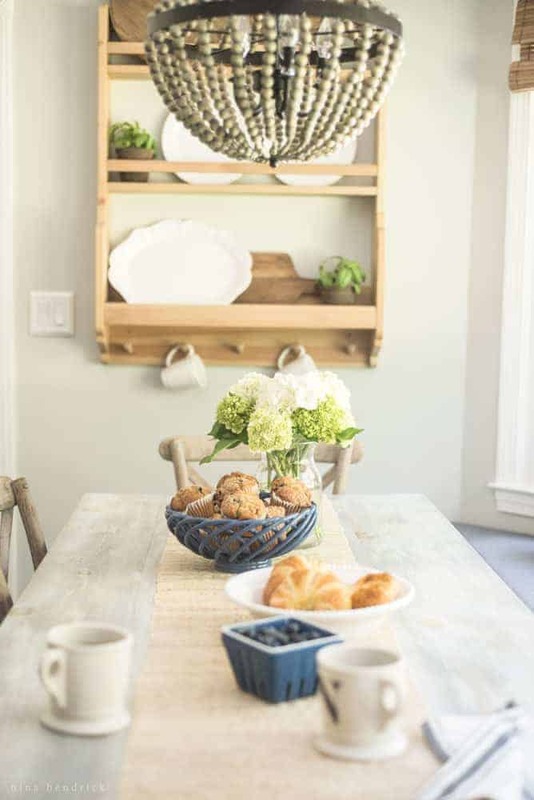 I really like your plate rack in your pretty breakfast nook too! Thank you so much, JoAnne! That’s exactly how I hope for it to be, so it’s always gratifying when that comes through in my photos :) Thanks for stopping by! 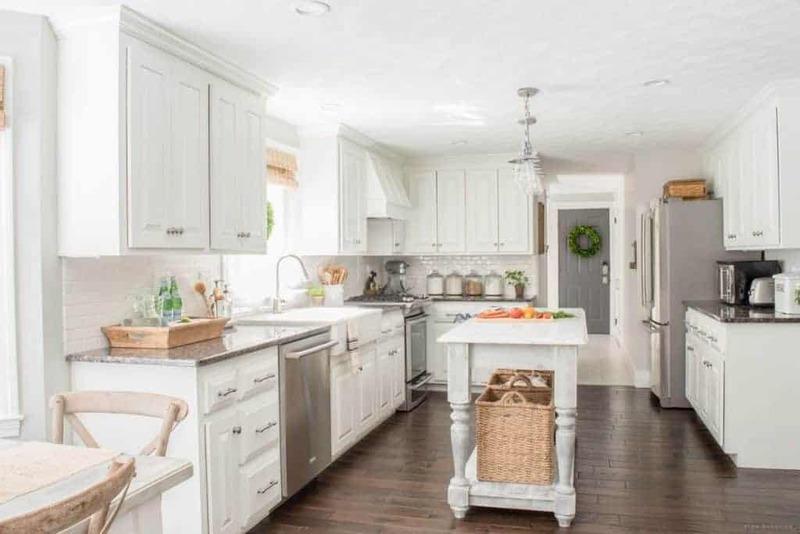 Your home looks absolutely gorgeous, Nina! Thank you so much for sharing it with us and for organizing this amazing tour! 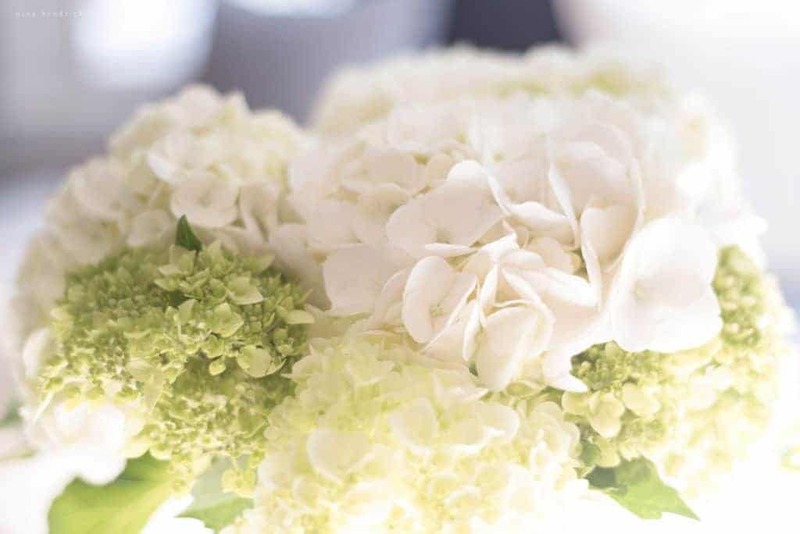 Hope you’re having a wonderful week! Your home is looking terrefic I am in love with your house. Your house is so lively, bright, inviting, serene and well organized. Nina your house is absolutely beautiful. I am new to the blogging world and just found your blog. I so enjoyed your Summer home tour. Thanks for sharing!!! Absolutely beautiful, Nina. Sharing on Poofing the Pillows Facebook tomorrow. Nina absolutely stunning! 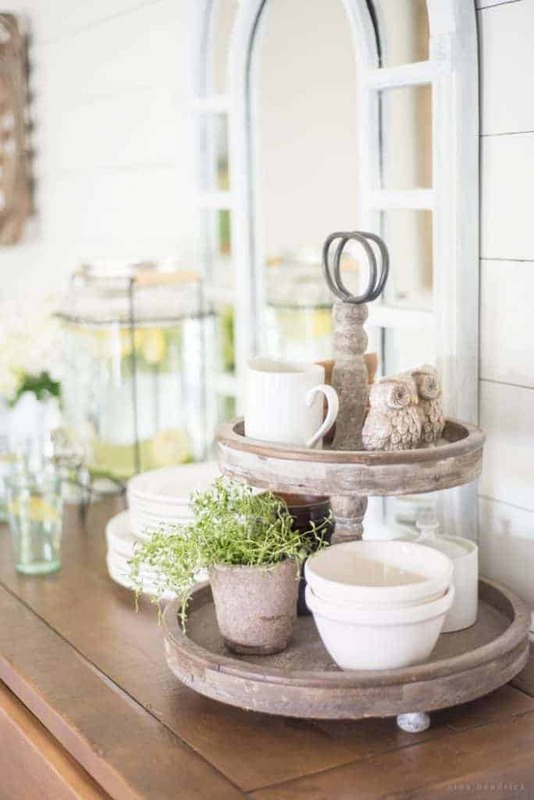 I love every room with that touch of summer! Nina! I love love love this! 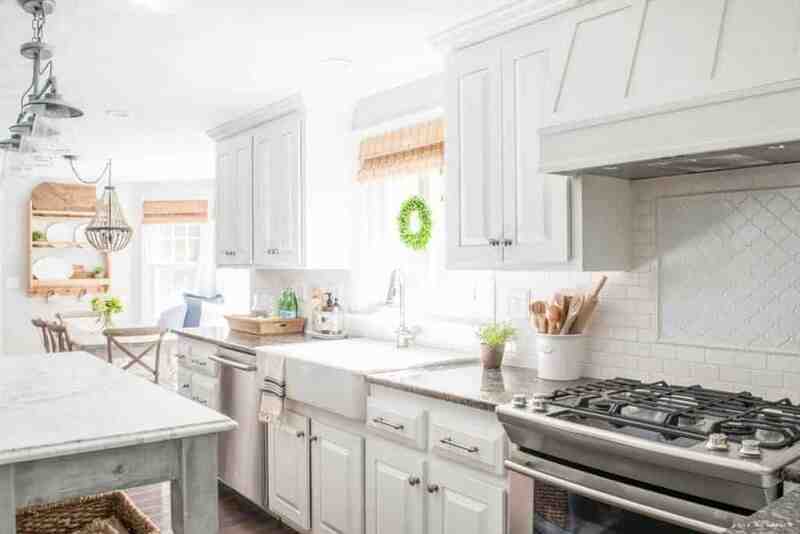 I just spent a bunch of time on your blog showing AJ before and after pictures of your kitchen and breakfast nook! I loved every bit of your home tour Nina. 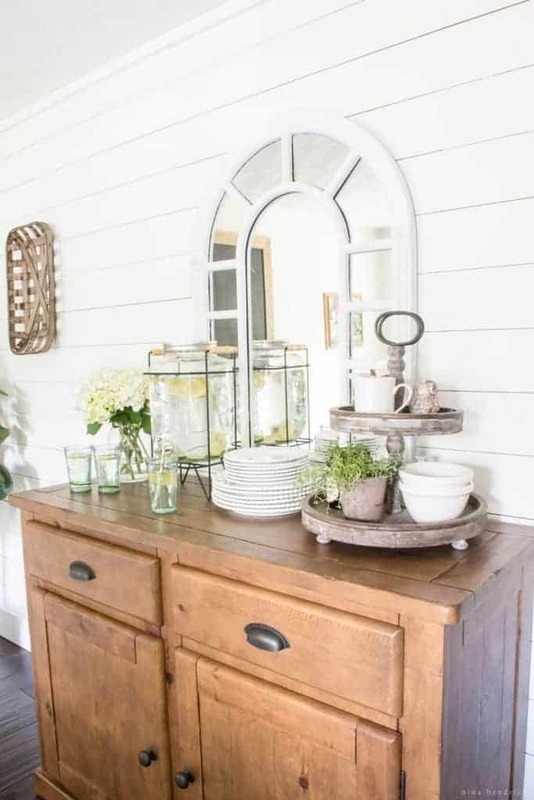 Your mudroom/entry is probably my most favorite in all of blogland. 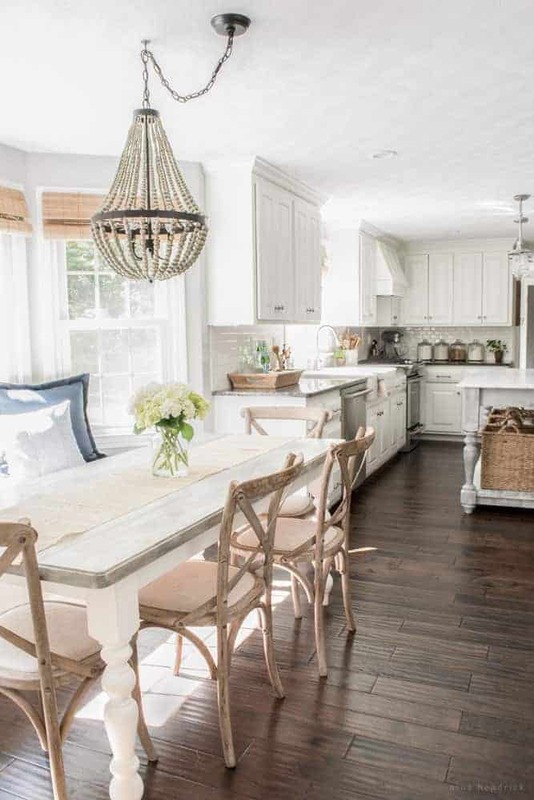 And your kitchen and breakfast nook are beyond. 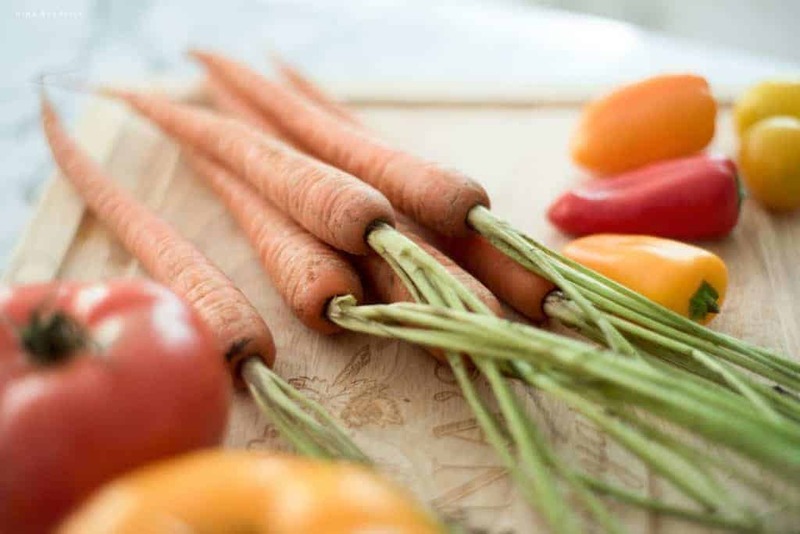 All your images are magazine-worthy and I especially love the close up of those carrots! P.S. 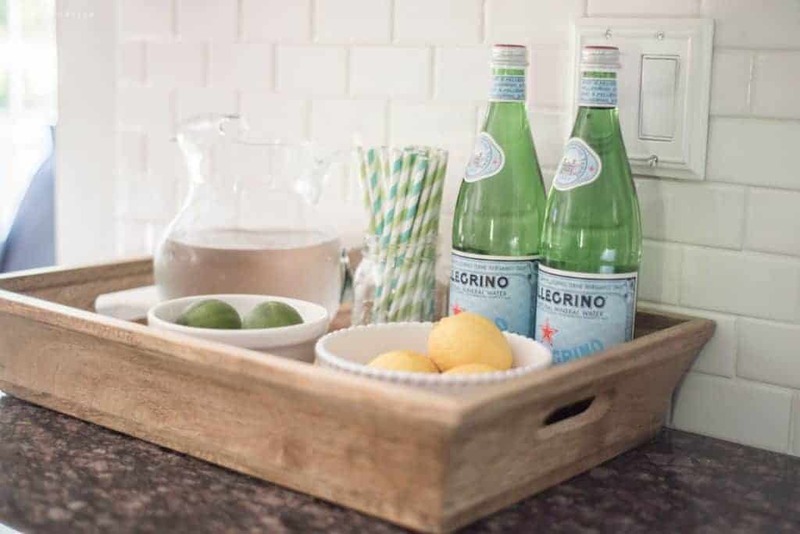 You find the best trays! Loved all the different ones you have and how your use/style them. I recently found your blog. 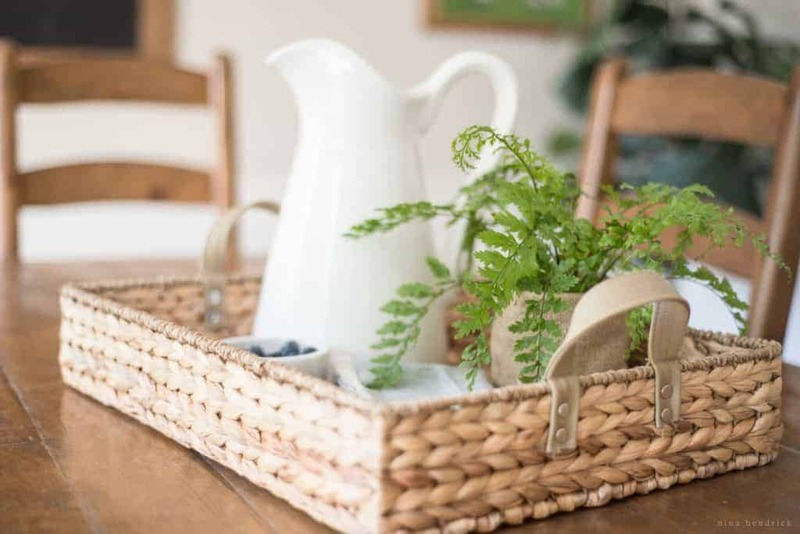 Your home is lovely…so fresh, bright, and inviting! Thank you for sharing. 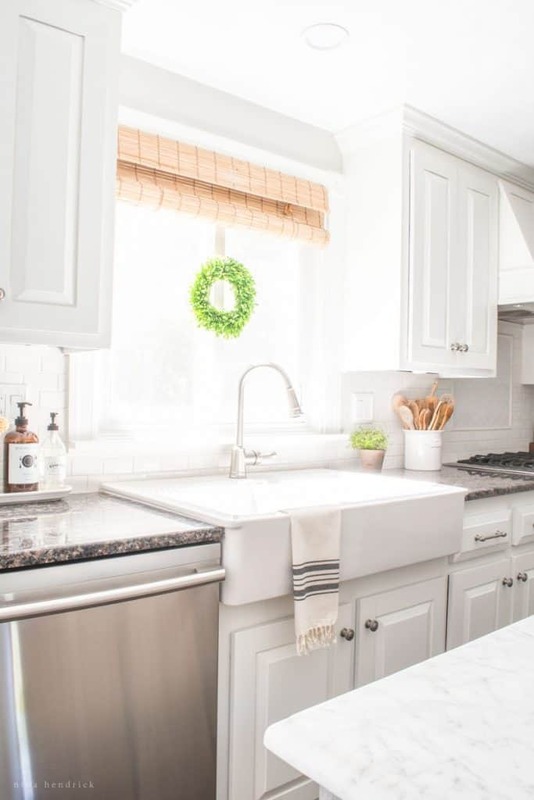 Gorgeous, cozy, and simple! 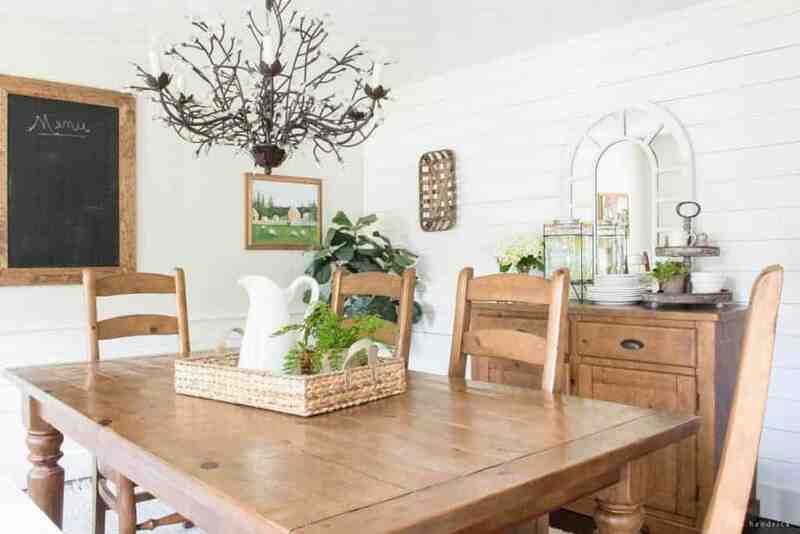 Where is the sideboard in the dining room from? Thanks! Hi. 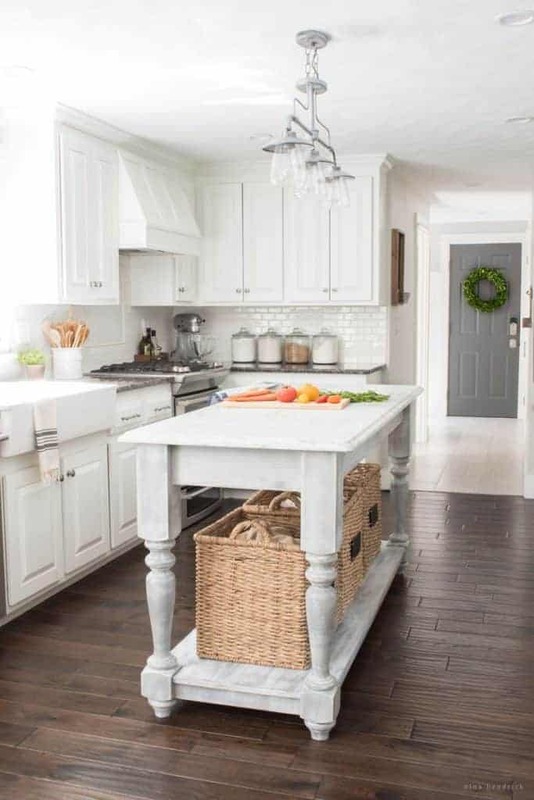 I’m in love with your kitchen island. Was it customs made or purchased from somewhere? Hi Christina, We made the island! There’s a tutorial with free plans here! Congratulations on the August 2016 Better Homes and Garden layout! 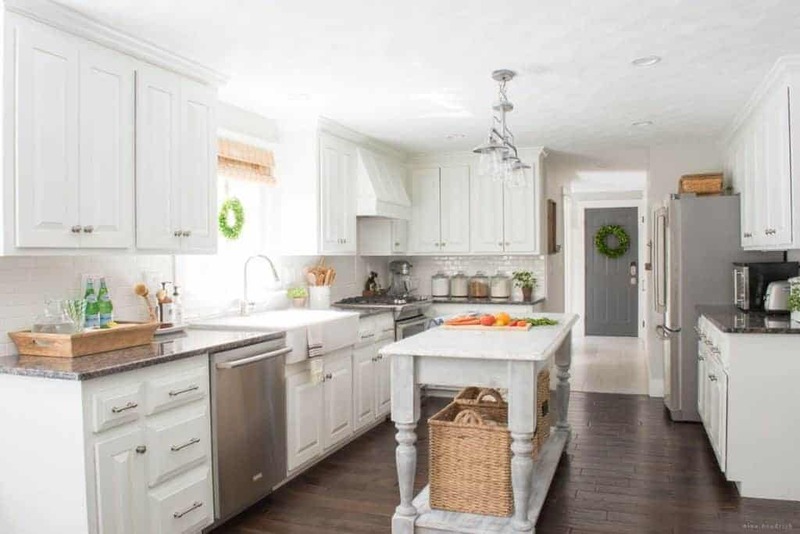 It is flawless, and I immediately recognized some of the pieces from Birch Lane with a fresh take.Your home is definitely unique with classic East Coast charm. Continued growth and success with your design business. Thank you so much, Ehrika! Absolutely beautiful! 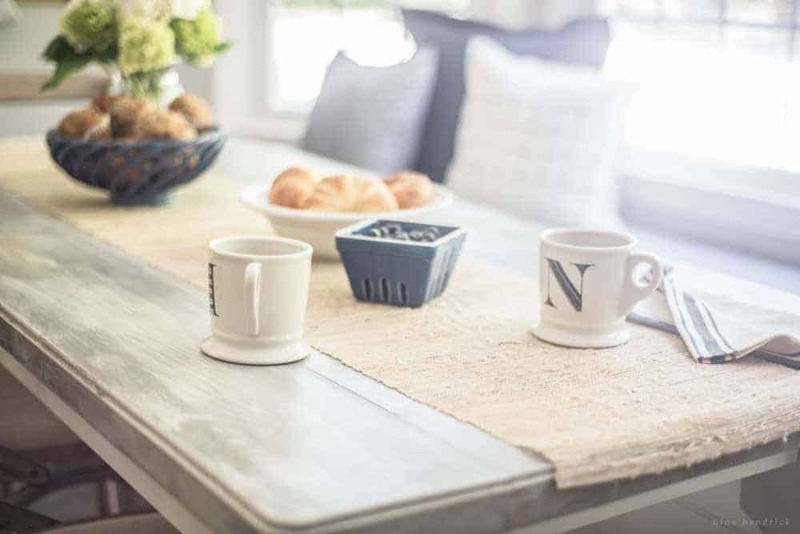 Where is the breakfast table from? I love your window coverings. Where are they from? 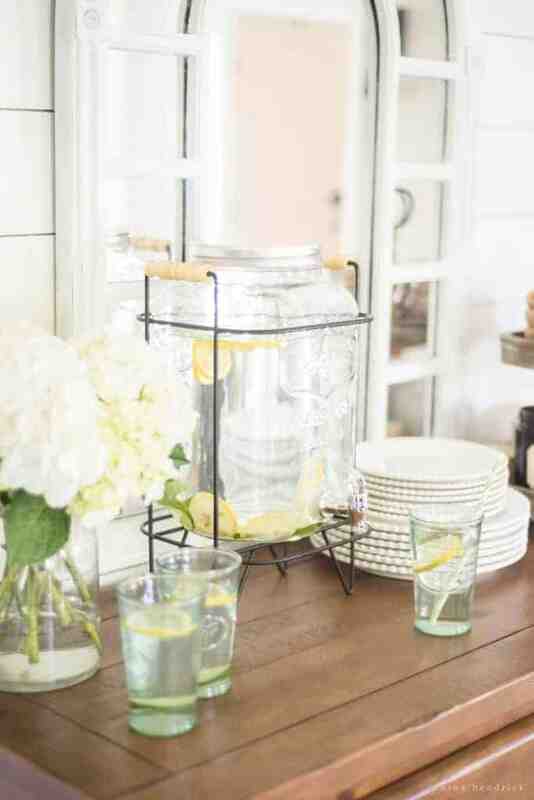 Your BHG article and summer tour were so fun and fresh! 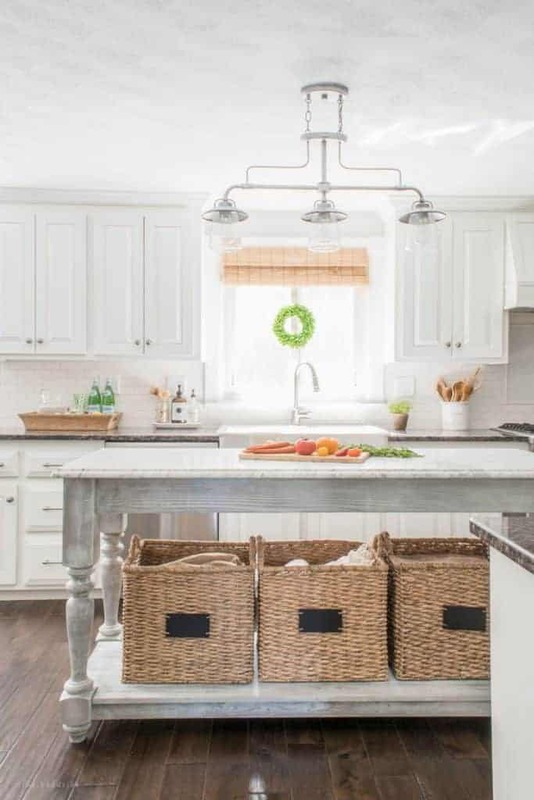 I also loved the organized pantry tips and inspiration. My husband and I were so blessed this year to have a bountiful harvest from our garden that we fed dozens of families and friends this summer! We were fortunate enough to give away so much organic produce and eat so well this summer. Thanks to a long growing season, after sharing so much (dozens of pounds of food each week), we still have so many tomatoes, peppers, pickles, and husk cherries to jar! 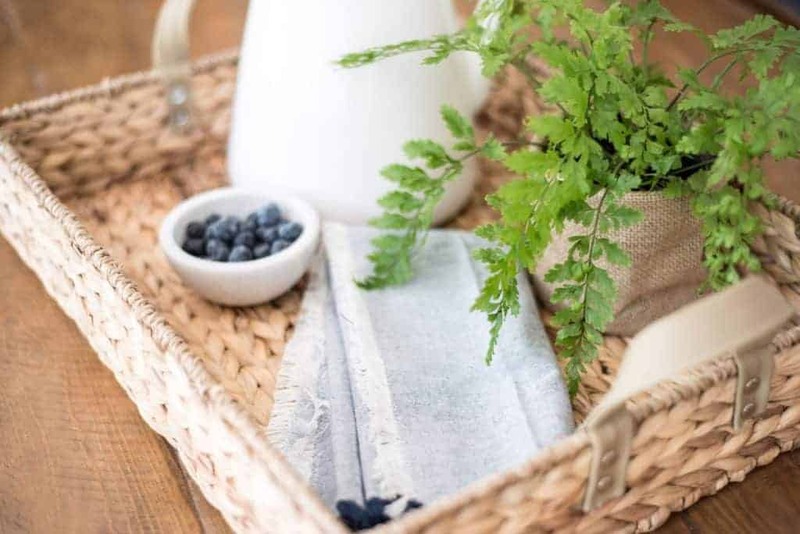 Your pantry hacks and tips will come in handy for fall canning and jarring season. The garden is still growing and producing fall vegetables like kale, Brussels sprouts, celery, mustard and collard greens. We harvested over 90 gallons (3 30 gal leaf bags) of Giant India Mustard Greens in July, and now we are on our 4th round of greens! I just received 50 bulbs of bearded irises and I am thrilled to plant them on the outside of our vegetable garden border for spring. 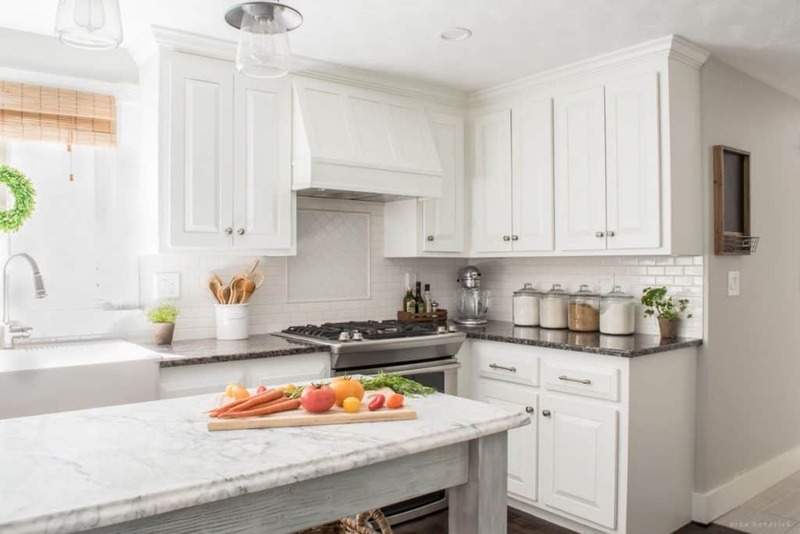 Gorgeous tour of your home! 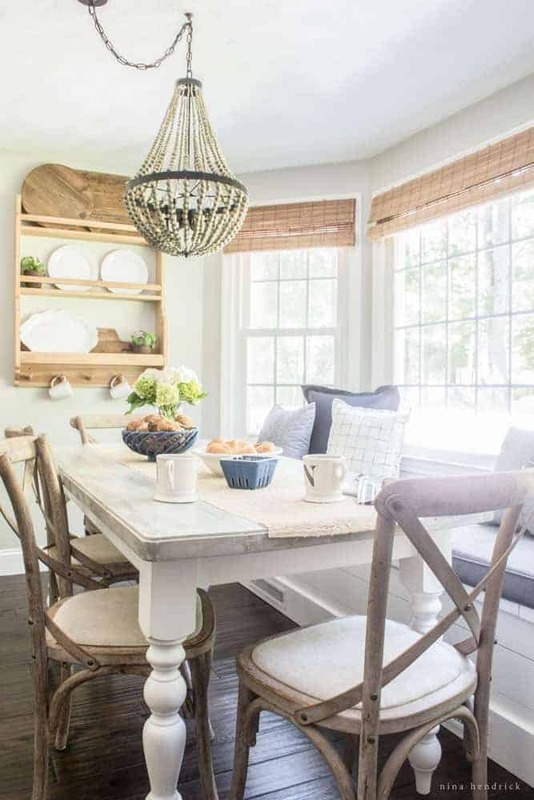 Where are your kitchen nook x back chairs from? Hi, Alyssa! Thank you! They are from Restoration Hardware.